Within 300 metres (approx.) of the chalet is a small selection of shops, bars and restaurants. 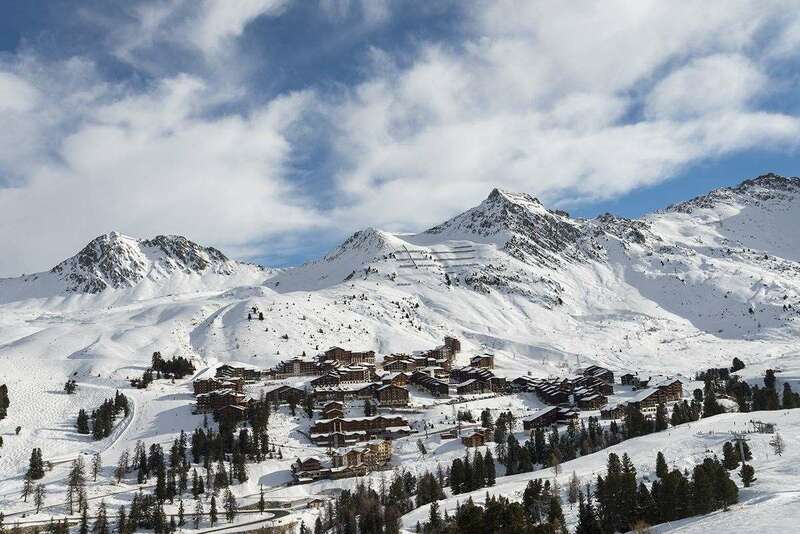 Plagne Soleil, so-named because it is the last part of the resort to see the sun at the end of the day, is one of the highest villages in la Plagne at 2050 metres. Staying here offers a great alternative to the larger villages. You can relax in peaceful semi seclusion and enjoy a laid back holiday with top-notch ski access. Furnished to a high specification and in a prime spot for ski accessibility, this spacious ski-in chalet apartment offers traditional alpine comforts with modern functionality. Chalet Crocus Blanc is in the upper building of this brand new ‘Mountain Flower’ chalet complex. There is one main street access into the complex via the lower building, from here you can take the lift to the ground floor of the upper building and the chalet is accessed by stairs. For ultimate convenience the building benefits from its own skiers’ entrance.